A job recruitment fair is being held from Sunday until Tuesday to fill 250 positions at two new hotels. 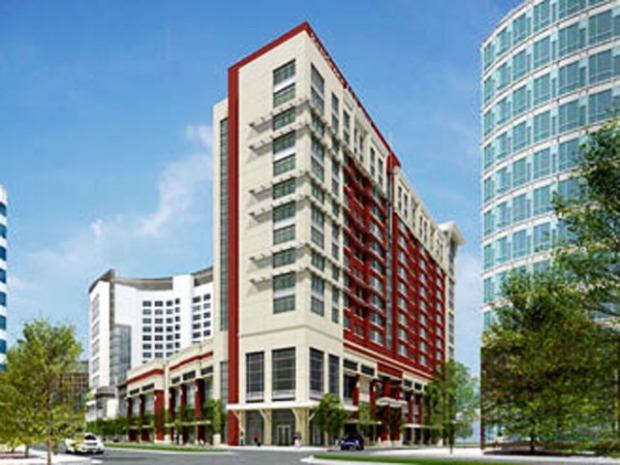 The Renaissance Arlington Capital View Hotel and the Residence InnArlington Capital View are slated to open their doors March 9. Both located on South Potomac Avenue in Arlington, the new hotels have 625 guest rooms and over 20,000 square feet of event space. The hotels are looking to fill part-time and full-time positions. Jobs range from positions in housekeeping, culinary, banquets, engineering, and on the bell desk and front desk. The recruiting event is open to the public, including current Marriott employees. Derrick Ward reports on the hotel job fair in Arlington on Sunday. The fair is being held at Crystal Gateway Marriott, 1700 Jefferson Davis Highway, Arlington. The event runs from 8 a.m. to 6 p.m. Sunday, January 16 through Tuesday, January 18.